Do you remember LaSalle Thompson? 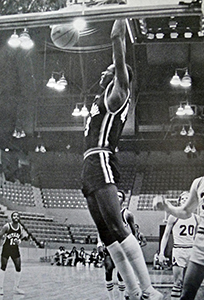 LaSalle Thompson graduated in 1979 and was inducted into the Hall of Fame in 2012. 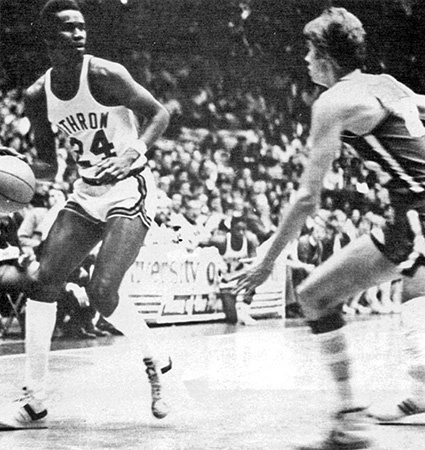 LaSalle Thompson was named Cincinnati Player of the Year from Withrow in 1979, 1st All-State and High School All-American. He led the city in scoring and rebounding in 1979 and also led the city in rebounding the two previous years. 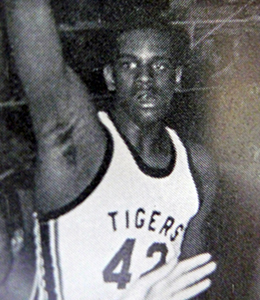 LaSalle was ranked #4 in the Cincinnati Enquirer 100 All-Time High School Basketball Players and led the Tigers to a 42-3 record in 1978 and 1979. LaSalle’s collegiate career was spent at the University of Texas. He finished his career there as the school’s all-time leader in rebounds with 1,027, despite playing only three years. From 1982 until 1995, LaSalle Thompson played in the NBA for Sacramento, Indiana, Philadelphia and Denver. In 2008, Thompson accepted an offer to become an assistant coach for the Charlotte Bobcats.